You are here: Home » MEDIA » Music/Audio » William Shatner interviewed (audio interview). William Shatner interviewed (audio interview). Here’s a fascinating audio interview with William Shatner chatting to James about his career in TV and the movies, and, yes, Star Trek (of course). 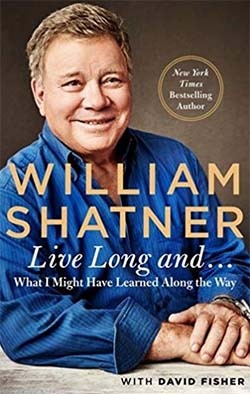 The Shat-man is out on tour for his new book, Live Long And . . . What I Learned Along the Way, as you’ll learn if you listen to this fine old Legend in his own Lunchtime. « Star Wars, A New Hope fake anime trailer.